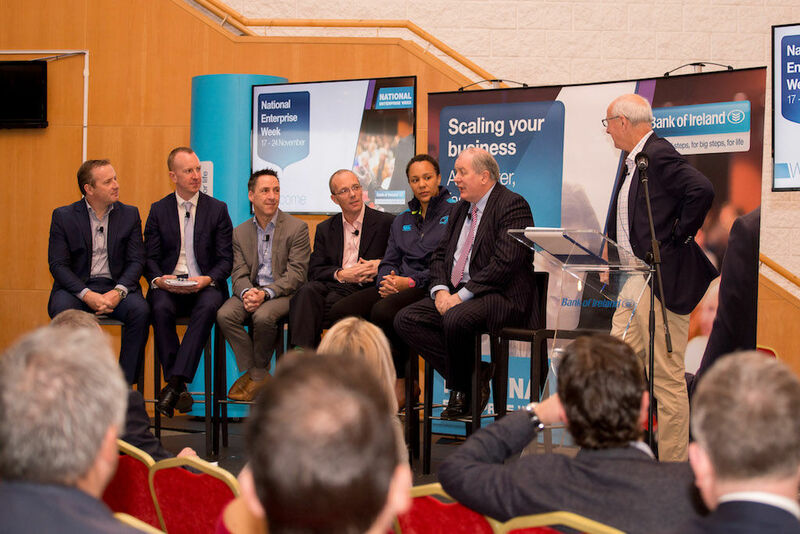 At a recent Enterprise Town event in Leopardstown, Co. Dublin called ‘Ready, Steady, Grow’, over 200 business people gathered to discuss everything sales related. Without sales, you don’t have a business. Also, selling is a skill that can be developed; not a special gift you are born with. Sales is a business, not an art. 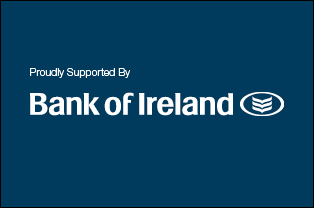 The MCs that morning were Bobby Kerr and Gavin Duffy (who are no strangers to the business of selling). The panel of sales experts was made up of Bob Flynn, director of iCommunity; Stephan Murtagh, The Exhibition Guy; Peter Turley from SalesTalk.ie and David Fitzgerald. Irish rugby international Sophie Spence was also on stage to talk about getting up when you get knocked back and the relationship between fitness and endurance. It’s such a practical way to look at it. People buy solutions to problems way more often than they buy products they may not need. It’s also vital to show empathy with your customers and their needs. In what turned out to be a crowd-pleasing and engaging format, each sales expert gave a two-minute pitch in their area of expertise. After all, if you can’t pitch something in two minutes, you’re unlikely to land many customers. Bob Flynn, director of iCommunity.ie, talked about the secret to writing a ‘killer’ sales email, the email that people can’t resit. He talked about selling into large companies, or so-called Enterprise clients. To get in front of someone you want to pitch to, the most powerful way is by email. The secret to getting them to open it is to personalise it. Who do you know in common? Include that person’s name in the subject line. Once you have their trust and a mutual relationship established, they are more likely to accept that all important first meeting. Peter Turley talked about the first seven seconds. If you don’t grab the person’s attention within seven seconds, you will have lost them. He said that people should have a brilliant one-liner prepared for every networking event. He gave the example of a person he does business with. Padraig makes podcasts for business people. He used to introduce himself as a podcast producer but rarely landed any clients at networking events. When Peter introduced him as: ‘This is Padraig, he makes people famous’, the results were very different. Padraig left the room that day with three new clients. Peter’s advice is to ‘Think about not what your job description is but ultimately what you can help people with’. Dave Fitzgerald talked about the importance of research and knowing your customer. What age are they, what are their tastes, their likes, and dislikes? Are you appealing to them in the right way? He also said you should continuously hone your sales craft. Review what works and what isn’t working and understand all the channels and how they fit into your sales strategy. It’s essential to have a plan and if one approach isn’t working, don’t be afraid to scrap it and move on. Stephen Murtagh spoke about the importance of the follow-up. A surprising amount of people who pay to exhibit at trade shows don’t follow up on the leads they may have secured. If you don’t chase the lead within six days, you will have lost it. Sophie Spence talked about building up resilience. Salespeople experience daily rejection. How do you pick yourself up and keep the enthusiasm alive? You have to stay focused on the prize, remain focused on the love of the game, even during the dark days. It’s vital for people who have high endurance jobs to be fit in the body as well as the mind. Eating well and sleeping well is critical for maintaining stamina, especially during the tough times. 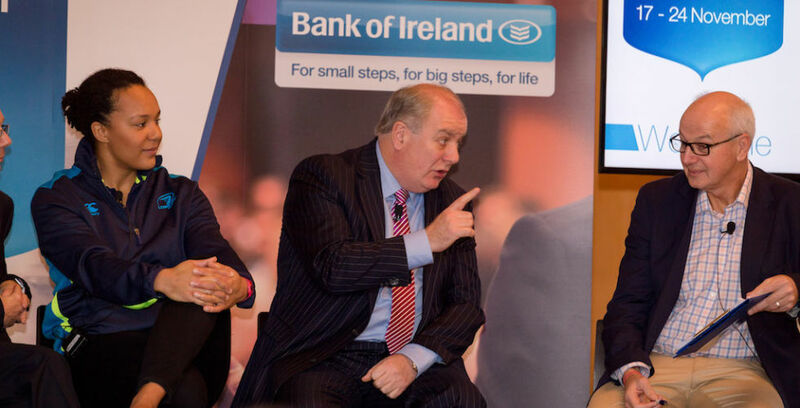 Bobby Kerr and Gavin Duffy spoke frankly about the importance of sales, of knowing your customer. They talked about great salespeople they knew who all had one thing in common, they never gave up. These salespeople also knew that to land a sale, you had to talk to the person at the very top, the decision maker, the chequebook holder. 1: Keep learning. Read, listen to podcasts, research online. There’s always a new way to sell better. 2: Never fear rejection. As Ralph Waldo Emerson said, “If you are to be a great success, make a habit throughout your life of doing the things you fear”. 3: Always make sure there’s something in your sales funnel. Don’t go cold. Don’t let leads dry up. Follow up every meeting. 4: Be human. People buy from people. Believe in your product or service. Make sure people understand that you want to help them, not just sell to them. 5: ABC = Always Be Closing. You will lose 100 percent of the sales you don’t ask for.